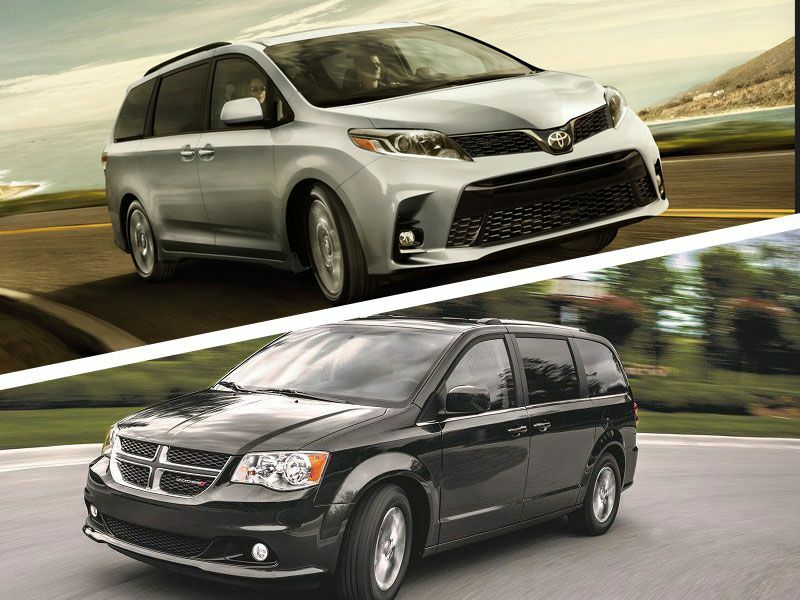 2019 Dodge Grand Caravan vs. 2019 Toyota Sienna: Which is Best? 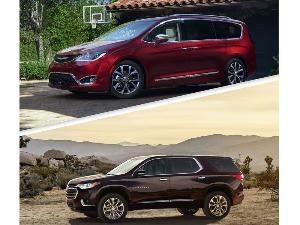 If you’re comparing the 2019 Dodge Grand Caravan vs. 2019 Toyota Sienna, there are several things to consider. The Grand Caravan comes from the company that pioneered the modern-day minivan back in 1983. Then you’ve got Toyota’s Swagger Wagon, which attempts to transcend the segment entirely with its dramatic design. The Grand Caravan showed its strength last year by leading the minivan segment in sales. 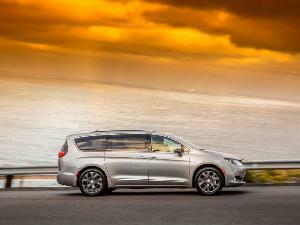 Dodge delivered 151,927 Grand Caravans in 2018, for an increase of more than 20 percent. The Sienna’s sales fell by nearly the exact same percentage, to 87,672 units. Of course, the best-selling minivan might not be the best choice for everyone. You need to do a careful rundown of each vehicle’s pros and cons to figure out which one is best for your specific needs - or you could just read ours. Which is best for pricing? 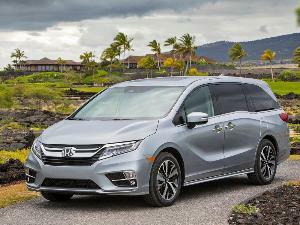 As you’ll soon discover, one of these minivans offers a lot more features and technologies than the other. So, it’s important to keep in mind the equalizer: The 2019 Dodge Grand Caravan starts at $26,250, and that means it’s the least expensive new minivan in the country. The 2019 Toyota Sienna is the priciest, thanks to an entry MSRP of $31,315. When you do the math, the entry-level Sienna works out to cost nearly 20 percent more than the Grand Caravan. That’s a difference of $5,065. And Dodge’s minivan does have some handy features for that price. Standard content includes heated mirrors, daytime running lights, three-zone (manual) climate control, power accessories, dual glove compartments, dual sliding doors, and Stow ‘n Go third-row seats that fold flat into the Grand Caravan’s floor. Which is best for performance? The pendulum begins swinging back toward the Toyota Sienna when we look at the two vehicles’ powertrains. For the 2019 Grand Caravan, the standard engine is a 3.6-liter V6 that makes 283 hp and 260 lb-ft of torque. This unit is paired with a six-speed automatic transmission and front-wheel drive. In terms of fuel economy, the Grand Caravan checks in at 17 mpg city/25 mpg highway/20 mpg combined. The 2019 Toyota Sienna wins for performance because even though it has a slightly smaller engine, it still provides a bit more power and better EPA ratings. 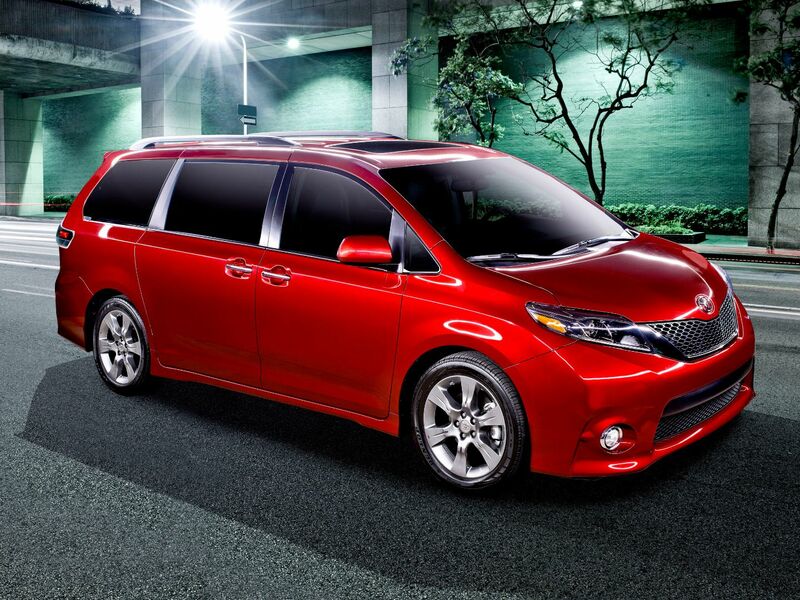 To be exact, the Sienna relies on a 3.5-liter V6 for 296 hp, 263 lb-ft of torque, and an EPA line of 19/27/22. The Sienna also stands out with an eight-speed automatic transmission and optional all-wheel drive. Which is best for capability? A general benefit of all minivans is that they’re just as good at hauling cargo as they are at moving people. Yet for maximum storage space, the 2019 Toyota Sienna tops the 2019 Dodge Grand Caravan in all seating configurations. 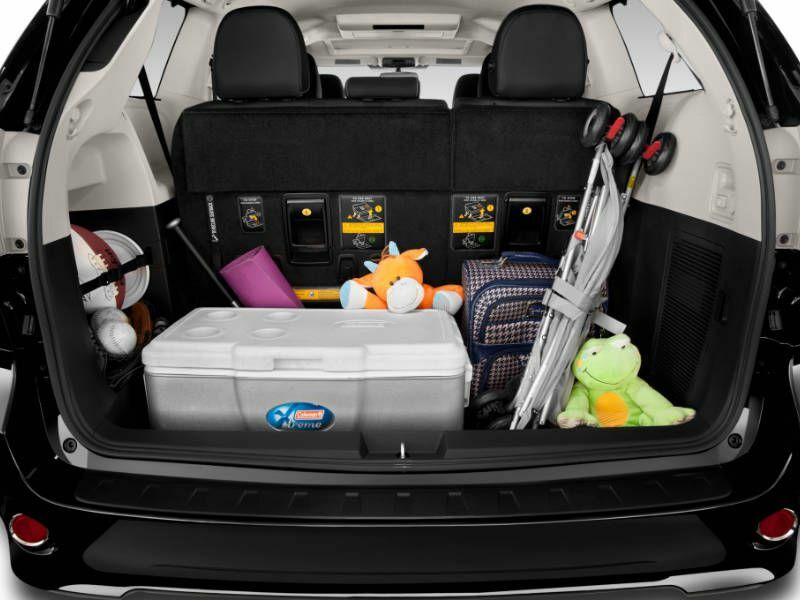 With all three rows in use, the Sienna supplies 39.1 cubic feet of cargo room, while the Grand Caravan has 31.1. When only the way-back seats are folded, the Sienna’s cargo capacity grows to 87.1 cubic feet. The Grand Caravan delivers 78.9 cubic feet with that layout. Finally, Toyota’s minivan can handle 150 cubic feet of cargo behind the front seats. You get 140.2 with the Grand Caravan. As a result, we’ll give the Sienna the win here, despite the Grand Caravan’s 100-pound higher tow rating of 3,600 pounds. Which is best for infotainment technology? 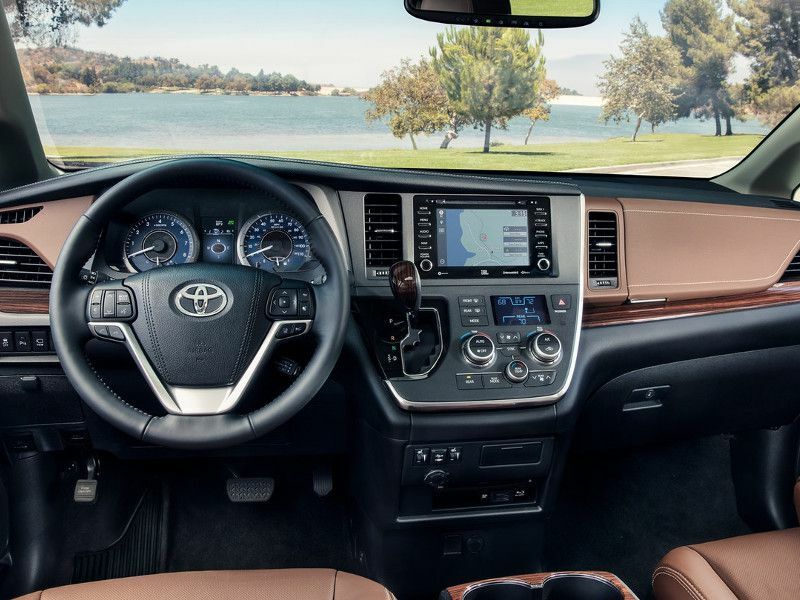 The 2019 Toyota Sienna is the clear winner if you’re focused on infotainment technology. Right off the bat, the entry-level S trim includes app-based navigation with a 7-inch touchscreen, Apple CarPlay, Bluetooth, HD Radio, and six speakers. You also can get available features like a mobile Wi-Fi hotspot, an integrated nav setup, a Blu-Ray/DVD entertainment system, and JBL audio. This should be enough to keep everyone happy when you’re on the road. Now, the 2019 Dodge Grand Caravan does offer a standard touchscreen infotainment system, but with a smaller 6.5-inch screen and without Bluetooth or Apple CarPlay. The former is an option, and the latter is unavailable from the Dodge. Nor does the Grand Caravan have an upscale audio alternative. Instead, key options range from navigation to a rear-seat entertainment system. Which is best for safety ratings and technology? 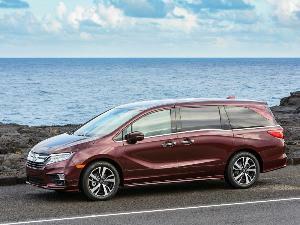 Although neither of these minivans earned IIHS Top Safety Pick ratings for 2019, the Toyota Sienna at least passes all tests except one. It scored “marginal” for protection when striking a thin object, like a telephone pole, on the front passenger side of the van. The Sienna also took home a full 5-star Overall Safety Score from NHTSA. As for technology, Toyota serves up automatic forward emergency braking, adaptive cruise control, forward-collision warning, lane-departure alert, pedestrian detection, and a rearview camera - and that’s all standard. A blind-spot monitor and rear cross-traffic alert are options. 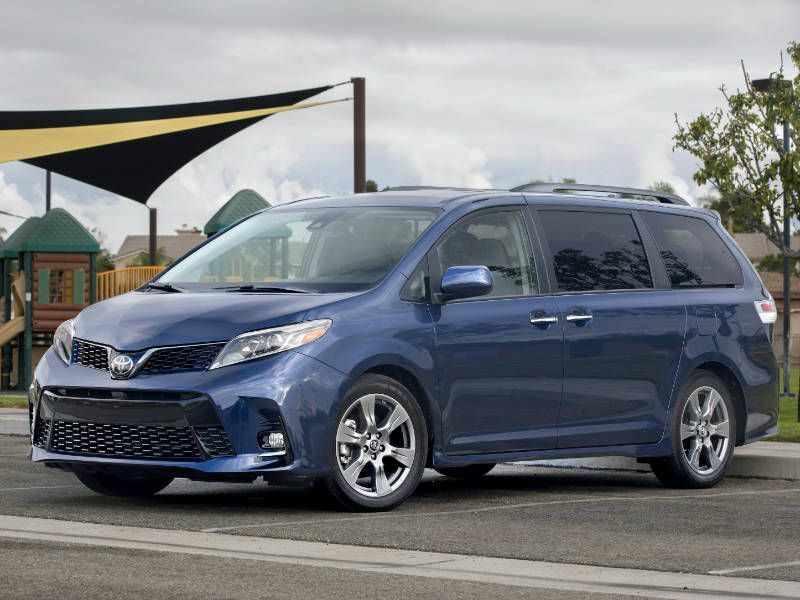 It’s another obvious victory for the Sienna, since the 2019 Dodge Grand Caravan has worse IIHS grades in key areas, only a 4-star NHTSA rating, and much less technology. The Grand Caravan carries a standard rearview camera, but that’s it for modern driver-assistance features. Which is best for luxury? Minivans may be designed for everyday living, yet they also can provide their share of high-end content. 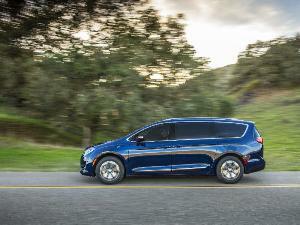 In fact, the 2019 Dodge Grand Caravan and 2019 Toyota Sienna each offer luxurious leather seating, heated front seats, an eight-way power-adjustable driver’s seat, and a heated and leather-wrapped steering wheel. For extra comfort, tri-zone climate control is standard in both entries. With the Sienna, however, the standard climate system is automatic. The Grand Caravan’s standard climate setup has manual adjustments. A few more minor details help the Sienna eke out the win for this category. 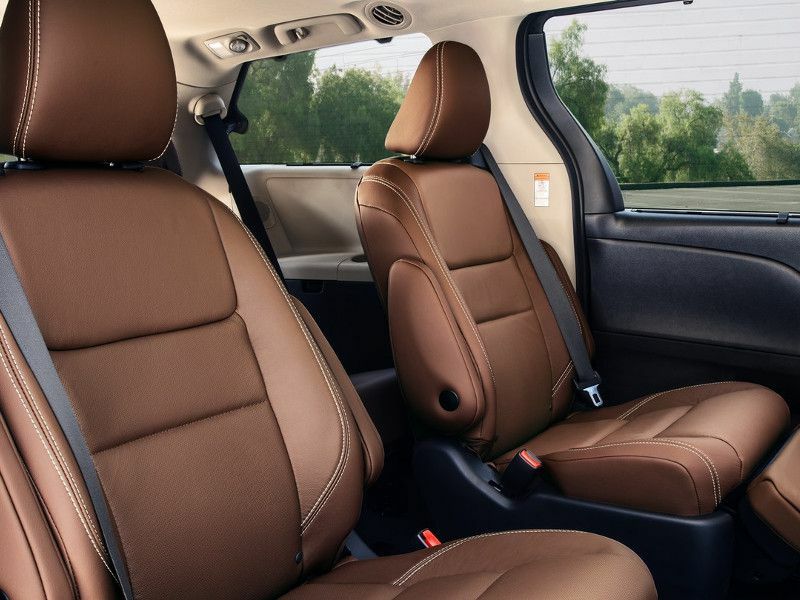 First, the Sienna has more premium seating options, with a variety of leather colors and a perforated-leather alternative. Toyota’s minivan is available with wood-grain cabin accents, too. 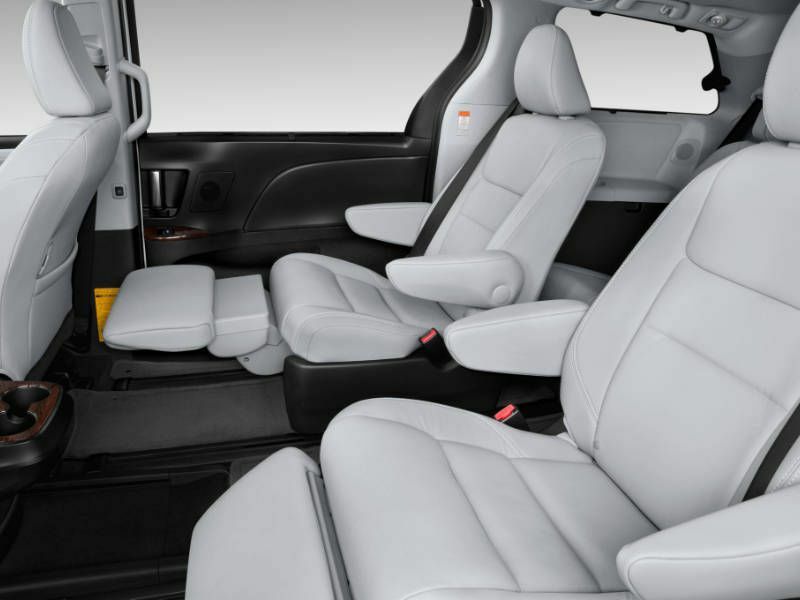 The Grand Caravan counters with a single leather-and-suede seating upgrade and no faux-wood features. Which is best for exterior design? 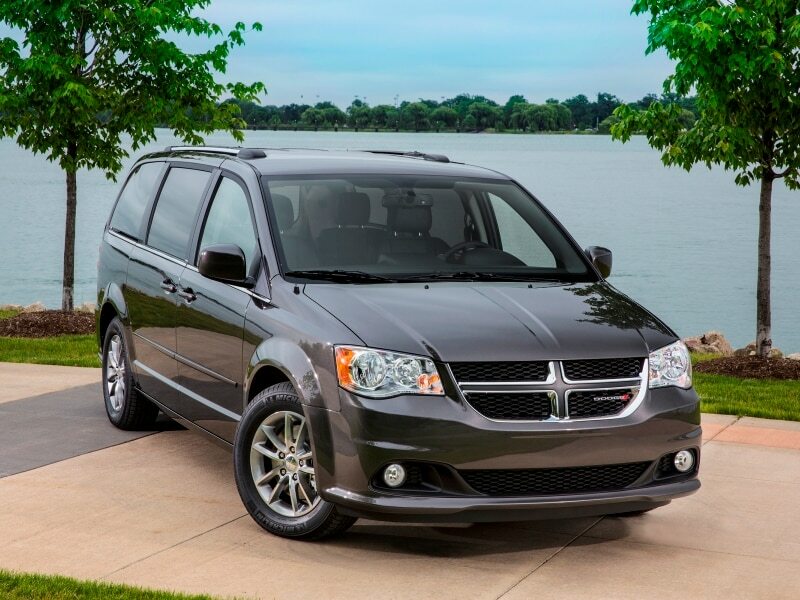 The design of the current Dodge Grand Caravan hasn’t changed much since it first was introduced more than 10 years ago, and it shows with conventional minivan styling. Meanwhile, the 2019 Sienna may not be as swagger-iffic as Toyota thinks, but it does have an impressively expressive face. Highlights include sleek sweptback headlights, vertical fog-light pockets, and a large, sports-car-style lower intake. A rear spoiler is standard as well, and the SE trim adds a mesh grille plus front and rear underbody spoilers. Unsurprisingly, the Sienna also is the only one of these vehicles that’s available with high-intensity discharge headlights, and LEDs for its daytime running lights and stoplights. It’s the same story with the Toyota-only power moonroof. Which is best for interior design? The 2019 Dodge Grand Caravan and 2019 Toyota Sienna match up pretty well on the inside. For instance, they both display attractive but distinctly different dashboards. The Grand Caravan opts for a sporty molded dash with soft flowing lines that come together in the center stack. The split-surface appearance for the Sienna is more detailed, but it also might be too over the top for some folks. Dimensionally speaking, the Sienna allows for a little extra headroom in all three rows, but the Grand Caravan comes out ahead in the crucial category of third-row legroom. Your best bet is to bring the whole crew down to the dealership to try out all three rows before you make a final decision. Our decision is to vote for the Sienna here, mostly because of its available in-cabin intercom system. 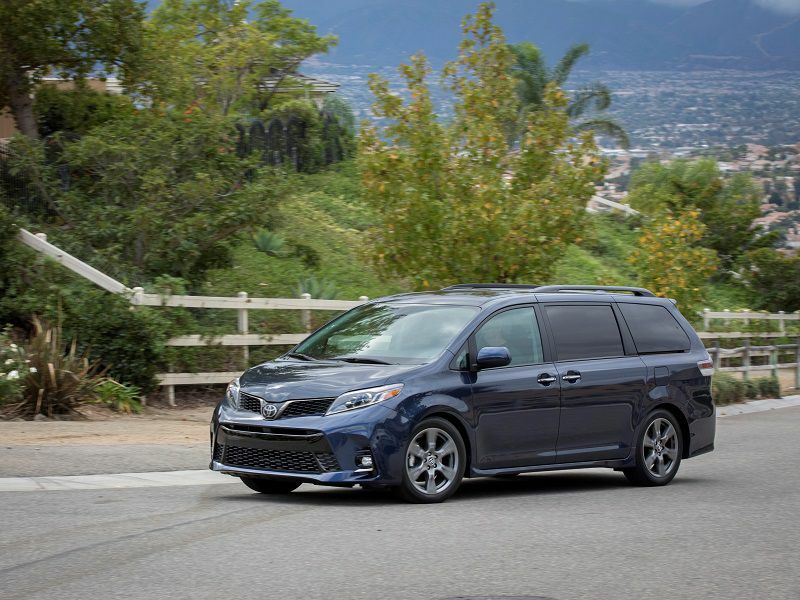 It was just about a clean sweep for the 2019 Toyota Sienna in today’s side-by-side comparison. 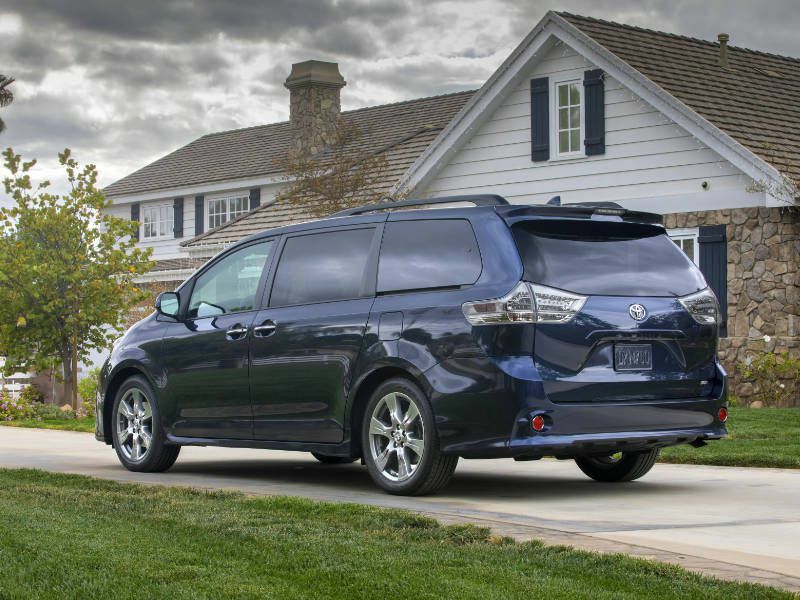 Toyota’s minivan boasts more cargo space, a higher level of infotainment technology, more driver-assistance technology, better safety ratings, and better EPA ratings. It’s also the only one to offer all-wheel drive. The 2019 Dodge Grand Caravan was limited to a single victory, yet it was in a vital category. The Grand Caravan is by far the less expensive alternative, and for some shoppers, that may be all that matters. On the other hand, the question wasn’t which vehicle is the cheapest. We started out looking for the better minivan of the two, and to find that, you should probably stop in at your local Toyota dealership.